Every business needs an app for earning and branding of the company, Here some of the tips to get higher ROI to your business with Custom built apps using enhance an experience, social sharing and providing security and many other features. 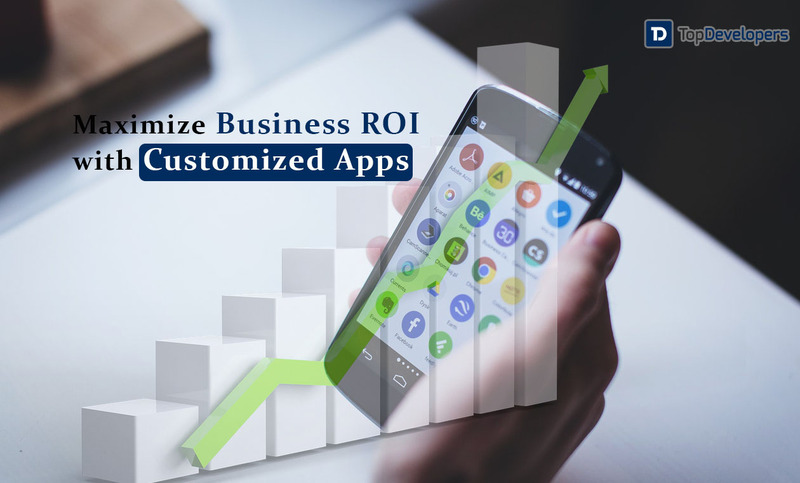 How to Maximize the Business ROI with Custom Built Apps? For mobile app development, the businesses can throw the hat in any ring. Nevertheless, building apps that are the rehash of the existing mobile apps are inexpensive, but this indifference won’t bring returns to the businesses in the long run. The custom-built apps that sync with the business vision and mission power the customer engagement which ultimately drive more lead down the sales funnel and boost business revenue. This is good to go. However, jumping on the custom app development bandwagon won’t work like- ‘build it and they will come.’ Instead, with custom development, just half the battle is won; understanding and implementing the smart tactics to uplift the sales and ROI through app bring the other half success. There are multiple ways at the business disposal, which businesses have to comprehend to get listed in the top brands in the world and fuel up the growth with improved ROI integrating custom app in the business DNA. The astronomical rise in the mobile apps is the evidence of high mobile app usage and how much people are up to their neck. They have little to no time to browse the internet while sitting on the desktop for their necessity. Additionally, having internet access all the time is not viable. That’s where the mobile app can rock by allowing the people to have access to the required services precisely and making the content downloadable offline. This convenience draws the customers towards the business and thereby increase the sales and the bottom line. Existing customers are the biggest treasure for every business, but to take a hold of them is a big deal. The loyalty rewards are one of the effective ways to keep the customers coming. Tie the loyalty program with a mobile app and provide mobile loyalty cards that enable the customers to have access to the loyalty program details all the time and avail the accumulated rewards anytime. Also, the loyalty rewards and special benefits never let the customers lean towards competitors that ensures long-term sales and profits to the businesses. The push notifications’ purpose is not limited to notifying the people about the latest events or deals. Despite, it works best in engaging the current and prospective customers. The notifications appear on the app interface and on the home screen with a short snippet of the message and app’s icon, let the users easily identify the brand. The interaction directly through home screen keep the customers coming to the app to see what they have been missing in the app. A quick glance at the notifications can draw the customer to your app and perhaps, enable impulse buying. The app cannot be customized according to individual customer’s preferences. Though by tracking the user’s engagement and browsing patterns, the updates can be made in the application. Additionally, the products or services offered to the customers can be personalized based on the demographics, interests and buying behavior. The data-driven marketing campaigns help in bringing qualified leads, capturing the customer’s attention and improve the sales by adding a personal touch. The personalized approach and enhanced customer experience make the branding efforts really paid off with the improved conversion. The businesses send a lot of emails to make the customers come back, but alas, it happens rarely. It’s not a good idea to make the app-exclusive deals viral and lift up the click-through rates. Don’t make your customer’s inbox filled with your emails. They may uninstall your app. Add social sharing options where allow the customers to share the deals which not just do the promotion of your app while make more customer flies to your app to avail the offers. You can leverage social channels to market the deals in the guise of fueling up the brand awareness. The crucial data-theft is the biggest roadblock that hinders the app growth and shakes the customer’s trust in the brand, which in due course impact the conversion. Safeguard the app from such vulnerabilities by integrating the app with an absolute mobile security system that guarantees the excellent encryption. It’s a safe option because every year, the MDM software is audited to check whether the device meets the stringent security standards or not. Also, many apps employ the anti-virus programs, but they are expensive. The businesses can go with them if they can afford. By encapsulating the app in the security walls, you can win the customers forever and ensure the ongoing stream of revenue as well. When you save your app from the malware, the customers also get saved. The interactions open the door for the businesses to delight and convert the customers. It’s possible when the app provides a multitude of special features that simply overwhelm the customers. The caching, offline access, cloud syncing, audio recording, contactless payment and others, can make the app multifunctional and serve the overarching goal. The customers are not required to open different apps to accomplish distinct tasks, which lets the existing customers stay glued to the app and recommend their friends to download the app that leads to higher conversion rate. The user experience has taken a center stage in the app market that can make or break the app success. When the app is poorly designed or any of the features interfering with the user’s browsing experience, make certain, it takes just a couple of seconds to uninstall the app. Embrace the modern design trends like- intuitive controls, gesture-based interactions, and animations while engineering the app interface to make the app navigation and browsing user-friendly. 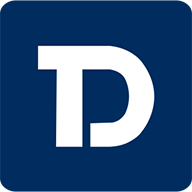 Furthermore, the app features or various elements should not take too much time to load due to large-sized graphics as it annoys the customers. As opposed to the website, the apps are the best medium to create the unmatched branding experiences. With unique logo, vision and the goal, the business can establish their identity in the market by which the customers know them. When the app content gets successful in informing the target audience that how easily the app meets than ever realized needs, the brand’s value gets rises in its entirety and escalate the user engagement levels. This way the app will become the foremost choice for the customer base of the niche business and in so doing, along with the branding, the sales also get elevated. Custom-built applications are the true identity of the businesses that must be used intelligently to serve the ultimate purpose. The underlying idea is the top-notch performance, personalized experience, robust security, social sharing and bundle of features are the brilliant ways to stay on the top of the customer’s mind and foster the brand awareness and conversion. The mobile app development companies should keep the above mentioned nine strategic steps in mind to help the businesses in creating solid branding and multiplying the ROI by manifolds.